So, its monday morning 9 am, what is the status quo? I'd like to give you a short impression of the desk. 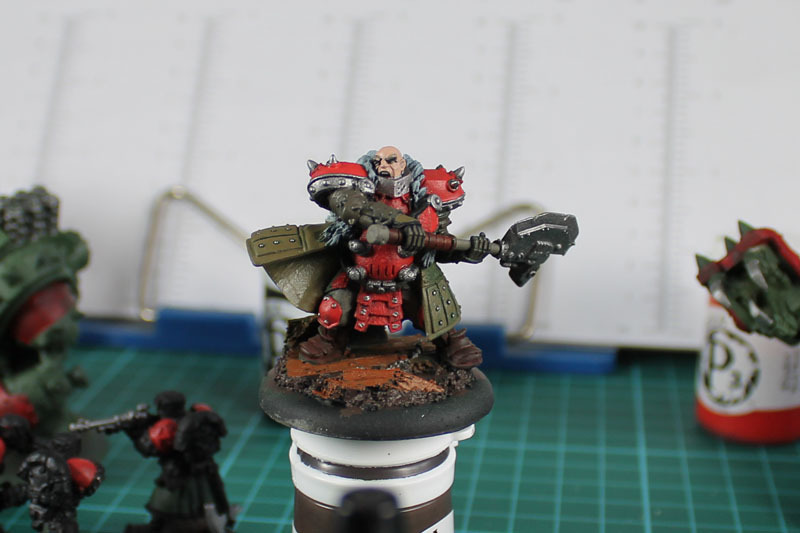 I am currently painting my Khadorians. 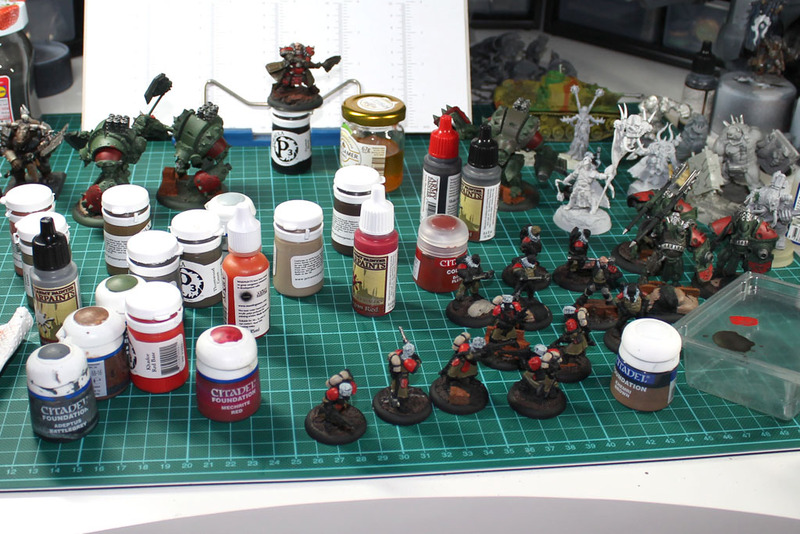 As i wanted to have quick process to a paintjob on "tabletop standard level" aka could be considered playable, i started basic colors and added washes for a first shading. To give you a feeling for the effect / results, take a look at the pictures below. 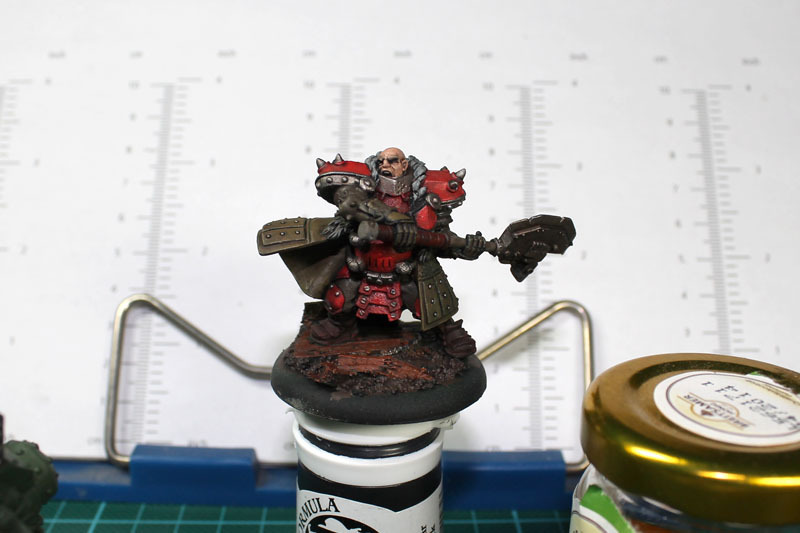 The warcaster only having the basic colors, and the second with some Army Painter Quickshade Strongtone from the bottle. So what's next? Well, its a start from there. Some drybrushing and details will move the paint job to a level, that i could live with. What else is going on? 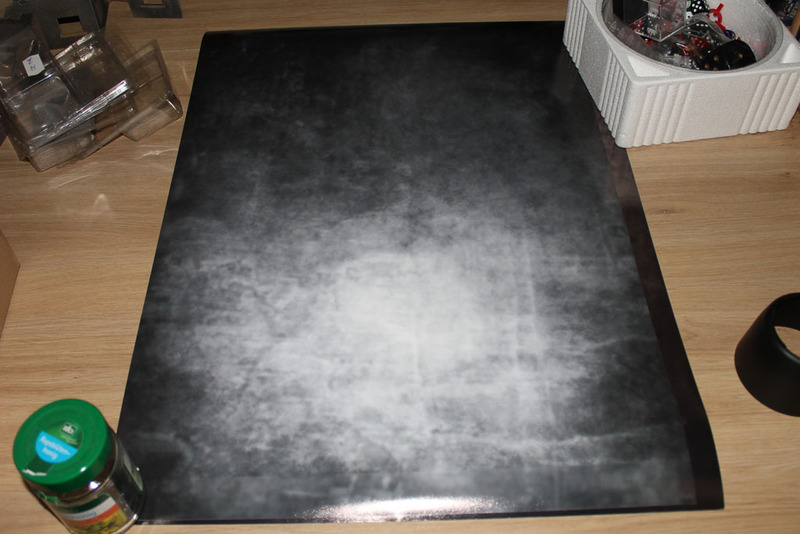 I ordered some A2 sized posters at posterxxl. They give discounts randomly, usually around 20-30%. I bought 3 posters including shipping for ~ 30 Euros. I used the templates from Massive Voodoo, scaled them up and added some more texture to it. 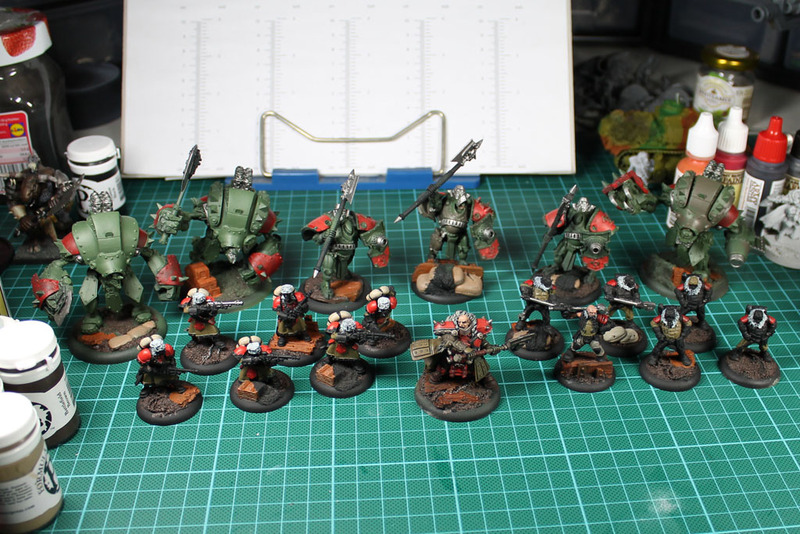 Readers will recognise them from my reviews, but as the miniatures (can you call things that big still miniatures?) got bigger, i had to get bigger backdrops for the pictures. 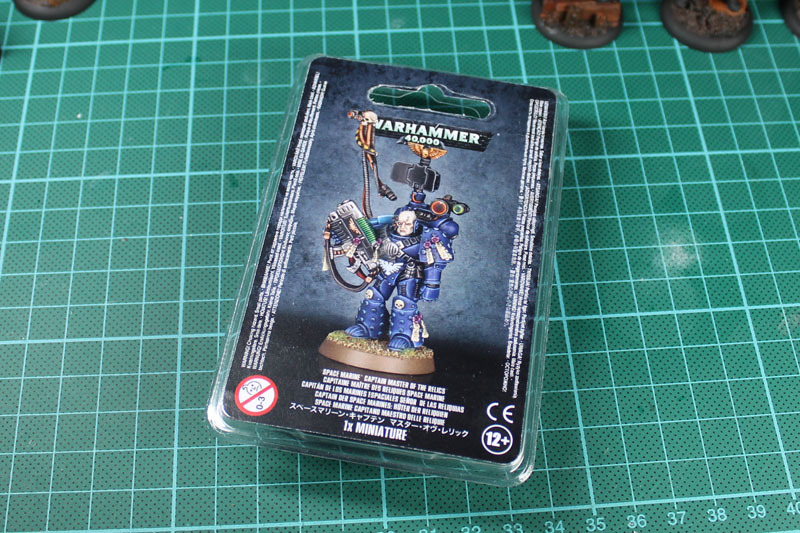 And a small teaser for the Apocalypse Reviews, one of the new chapter masters. Thanks to Carsten for this one.